Straight harsh top coat; soft, dense undercoat. 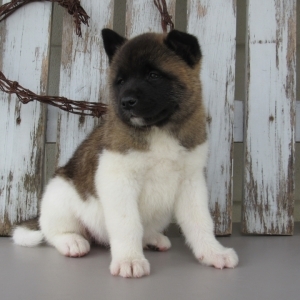 Akitas were brought to the United States from Japan in the 1930s by Helen Keller. These beautiful, athletic dogs are intensely loyal and protective of their families. They have tightly curled tails, pricked ears and soft, double-coated fur, and come in three color patterns (solid, brindle and pinto). 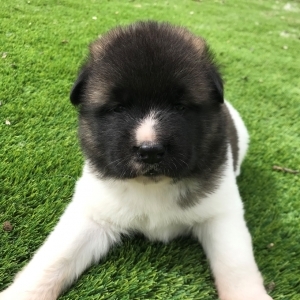 Akitas are large, strong, intelligent, and friendly with children. Their personalities are playful and affectionate. 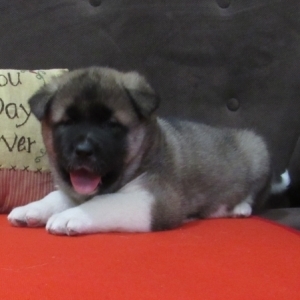 Akitas make wonderful pets and thrive on human companionship and attention. 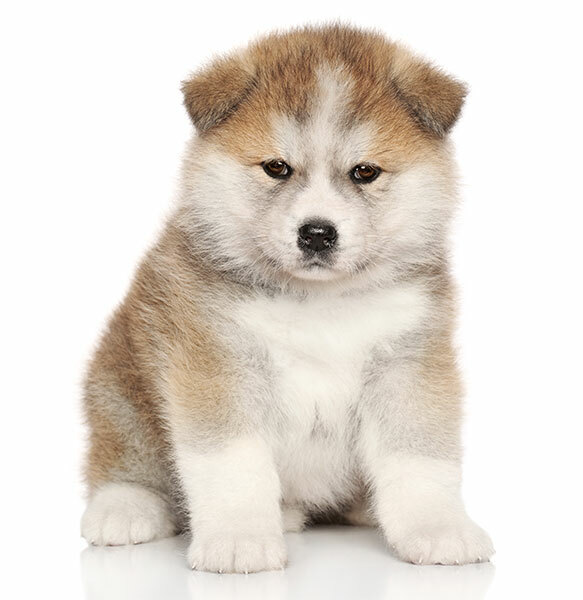 The most famous Akita was a dog named Hachiko, who waited nine years in a Japanese train station for his owner who had died suddenly, to come home from work. A film called "Hachi: A Dog's Tale" was created in the dog's honor. 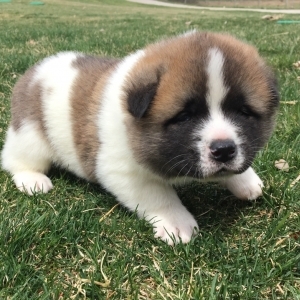 The Akita originated in Japan in the 1600s.